We couldn't be any more excited to see our dear friend Manuela Noble's film 'Believe' directed by David Scheinmann, get its cinema kick-off. It's some time ago since we created the title sequences for Manuela (Wachafilm), and producers Ben Timlett and Bill Jones (Bill and Ben Productions). So we are delighted to see after a greatly received festival circuit, which saw the film pick-up Winner of the Golden Eye Award at the Zurich Film Festival, 'Believe' going out UK nationwide July 25. Manuela let us know that the film will also be screening at 80 schools across the UK on July 15, as part of the 'In to Film' government sponsored program. To then be followed with the US and Canada release on September 12, in all cities that have a major league soccer team - including NYC, Chicago, Toronto, Vancouver and Montreal. With the Brazil World Cup only coming to a close just days before, we think the timing couldn't be any better! "It is unanimous, we all love it! We believe it's a winner!!! Thank you so much!". Man of the match though surely has to go to film editor Julian Rodd ('Absolutely Anything'), for a great 1, 2 into the back of the net! Set-up from a great pass from cinematographer Gary Shaw ('Moon'). 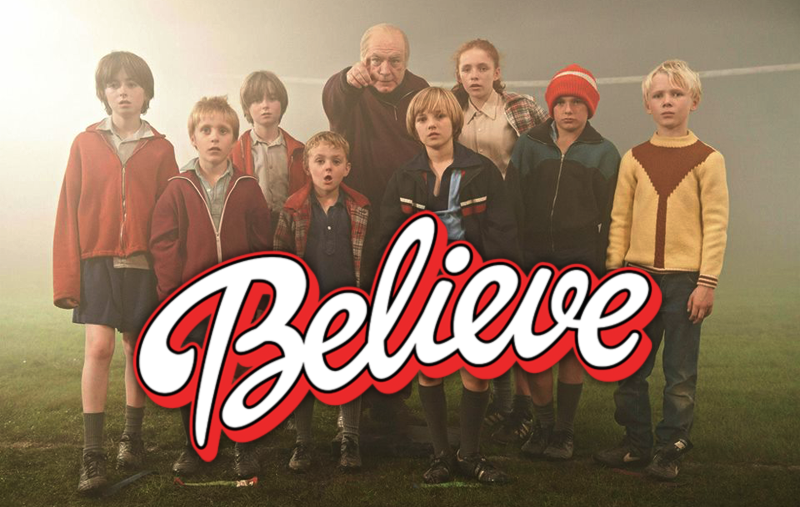 'Believe' has been a great film to be involved with. Boasting a great cast, coached by Brian Cox (Sir Matt Busby), with new talent Jack Smith (Georgie Gallagher) scoring lots of goals. Already receiving some great reviews, such as The Upcoming: (http://www.theupcoming.co.uk/2014/06/10/believe-movie-review/). We think you'll all going to enjoy this full 96 minutes, without penalties. A real match to all 'coming of age' films. 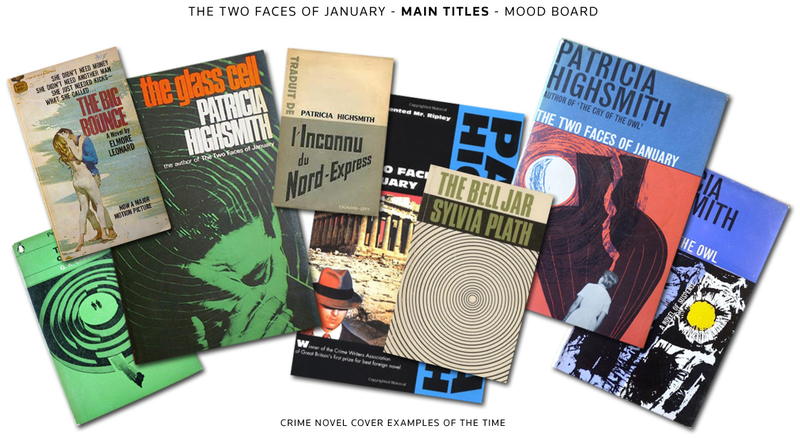 As excitement and intrigue builds for tomorrow's release of The Two Faces of January. We follow on from our previous blog, with Studio Canal's official trailer to get you in the mood. Note: All images and video clips remain the property of their respective owners. Copyrights apply. With the UK premiere for this summer's hottest feast for One Direction fans only days away. Work for us to complete the main and end title sequences for 'This Is Us' was only finished but a few days ago! Director Morgan Spurlock is now hot-footing around the globe for special screenings and interviews as part of the films promotion, as thousands of adoring fans eagerly prepare to start queuing up for the UK's premiere at London's Leicester Square on the 20th August. An event which is already looking like it's going to be the biggest thing, since the 1964 Beatles film 'A Hard Days Night' hit cinemas during the height of Beatlemania. Dean and I spent quite a few of our own 'hard days nights' working with specialist 3D VFX teams at MPC (Moving Picture Company) both in New York and in London, building the complexed 3D animated titles which we designed to sit integrally within the opening scenes of the film. It was essential to work closely with Morgan to get the look and feel absolutely spot on, so that not only did the 3D pop for the audience - but so that the titles themselves lived naturally in the space to realize our vision and capture all that Morgan wanted for the film. We are really pleased with the results and sure the audience will get a real visual delight - especially with the main title kicking-off the start of the film - and the end roller which will keep bums seated to the very end. 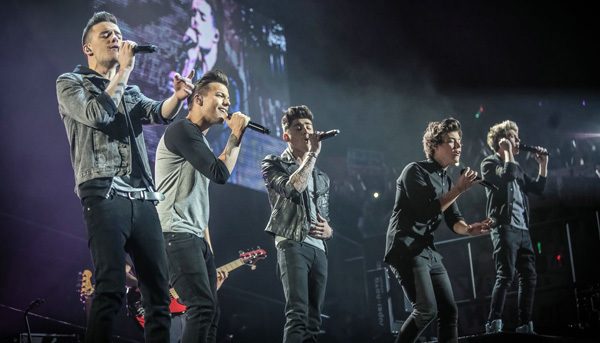 The access-all-areas film in amazing 3D with never-seen-before footage of the boys, releases nationwide on the 30th August - shortly after its New York premiere on the 26th August. We are excited to have been a part of the production and to have worked with such great people to make what we believe, is going to be a great 92 minutes for idolizing One Directions fans around the world. We very much look forward to also being able to share our titles sequence for the film here at Richard Morrison in the very near future, so keep coming back to see. Big thanks to all those involved in working with us to create the titles. With special thanks to Post Production Supervisor Mark Harris. Our VFX Supervisor Alexis Haggar and Producer Dan Marbrook for all their support and knowledge. And finally to Morgan for believing in our concepts and being 100% behind us all the way. If you can't wait for the film, here's a helpful link to keep you going in the meantime and the official trailer for you to see. Enjoy. Please note: All images remain the property of their respective owners. With Zaytoun now out on DVD release. We are really pleased to be able to share with you our title sequence for the film.